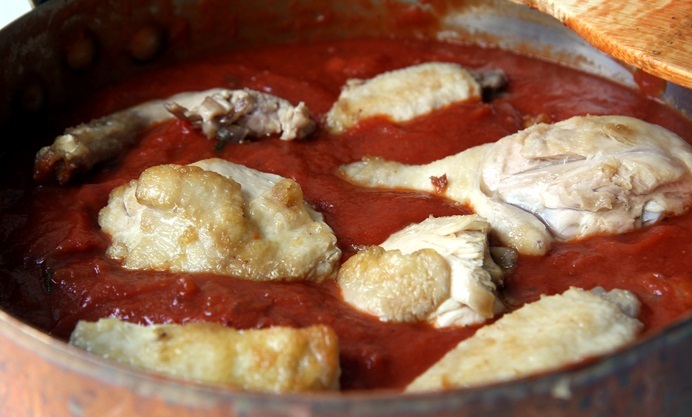 Filippo Trapella serves up a classic pollo alla cacciatora recipe, or hunter's chicken stew as it's known in English. The key to this dish lies in the intense tomato and red wine sauce flavoured with fragrant rosemary and juniper. 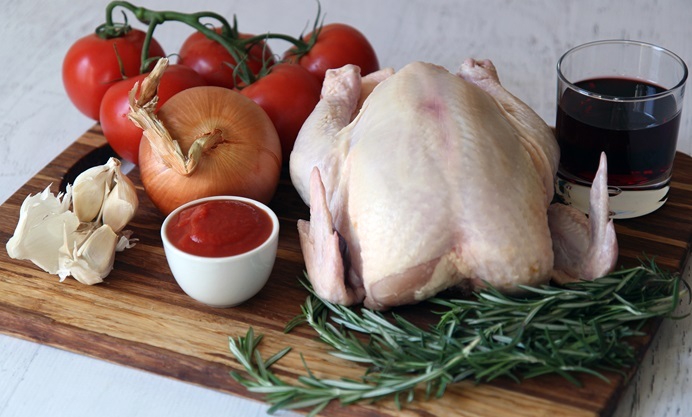 For some handy tips, check out our guide to jointing a chicken – you can use the remaining carcass to make a fantastic homemade stock. 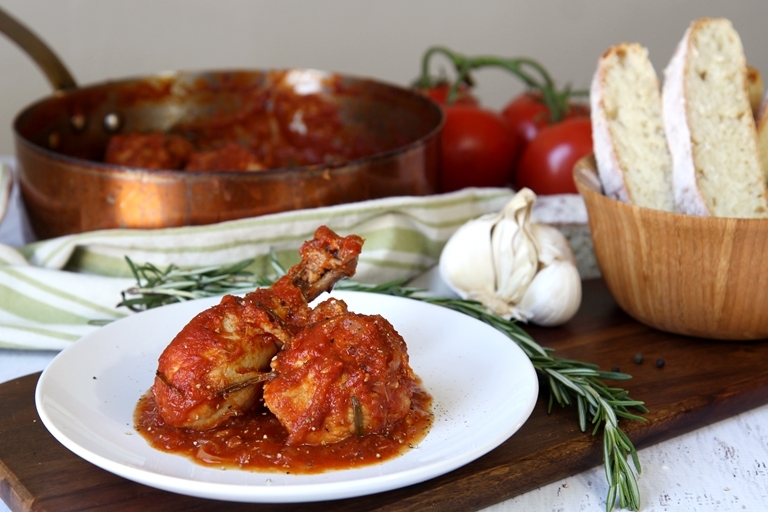 The pollo alla cacciatora is a simple and traditional dish prepared with some little differences in almost all the regions of Italy. 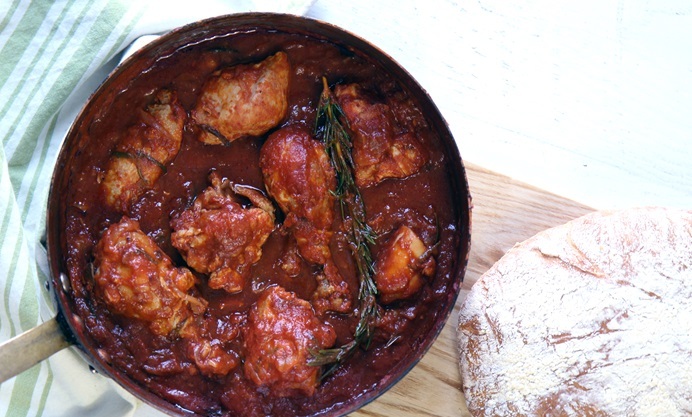 The chicken is jointed into pieces and quickly pan-fried, then slowly stewed in a tasty tomato sauce. 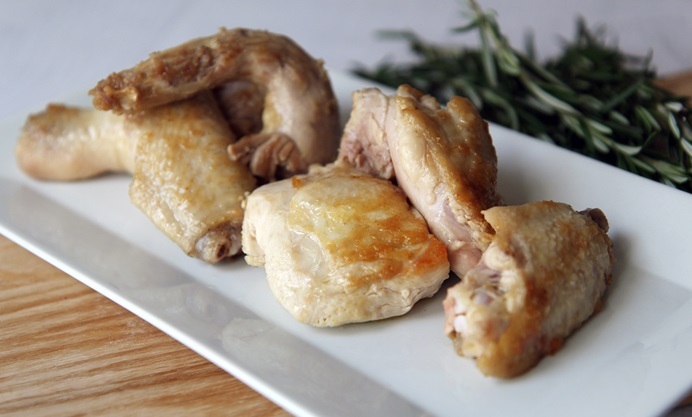 Rosemary, garlic and wine are essential to donate a characteristic flavour. Even if it’s possible braise the meat with white wine, I suggest red wine to make the taste of the sauce bold!